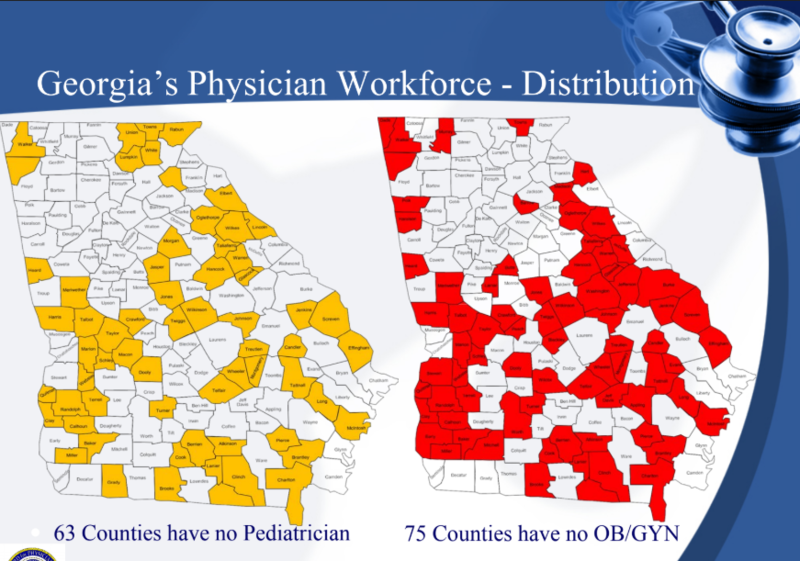 The Georgia Chapter of the American Academy of Pediatrics (AAP) had a recent Board of Directors meeting. There is a core group of pediatricians and pediatric specialists who, in conjunction with the AAP staff, work to improve the health of children. This includes arranging conferences, working with legislators, identifying regulatory issues and promoting best practices. The Board of Directors meeting helps guide the chapter’s work. This year’s meeting covered a lot of ground. Two of the presentations provided information from the composite medical board and ABP certification/MOC. -How physicians get into trouble: not completing CME credits, drug use, inappropriate contact with patients. A new issue is not registering for PDMP (prescription drug monitoring program). If a physician is not in compliance, they will be fined $3000 and reported to national database. 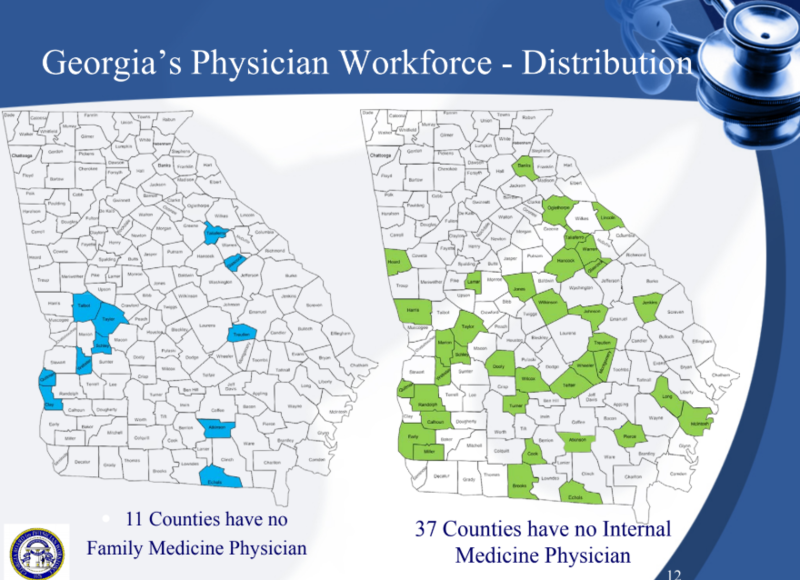 -Issue of lack of physician access in rural areas. 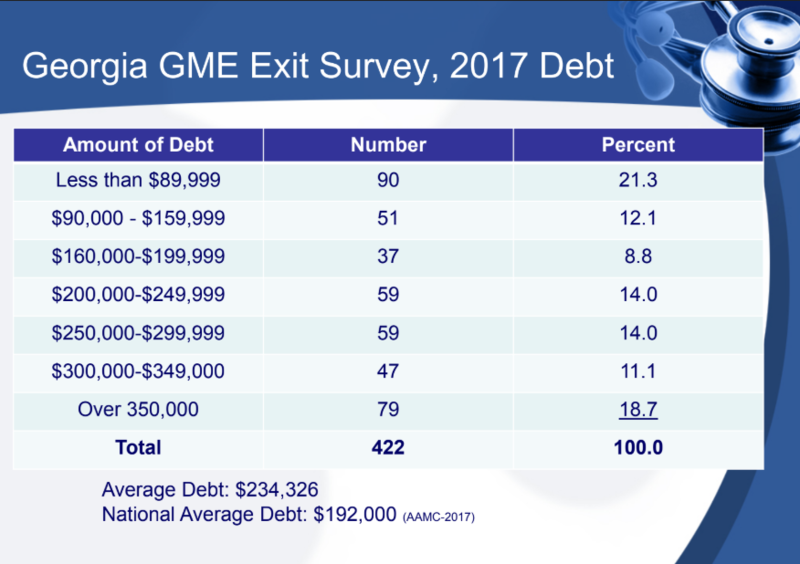 -High debt of physicians completing medical school and loan repayment programs to encourage physicians to locate in underserved areas. The second presentation by Anna Kuo and Brad Weselman focused on changes in ABP’s MOC process, including the introduction of MOCA-Peds. The goal of the changes is to make MOC process more relevant in improving practice. One of the more troubling commentaries that I read recently (Rappaport BA et al NEJM 2015; 372: 796-97) provides additional insight into the issue of anesthetic neurotoxicity. The possibility that anesthetic agents could result in learning disabilities and other neurologic impairments is not new (Pediatrics 2011); however, the data has become more concerning. “Compelling evidence from animal models is supported by a small number of observational studies in children who underwent anesthesia early in life.” Exposure to multiple (but not single) episodes of anesthesia and surgery were associated with increased risk of learning disabilities. Anesthetics which have been implicated include propofol, ketamine, sevoflurane, etomidate, desflurane, and isoflurane. Histologic changes, in animal models, have included apoptosis and cell death, changes in neuronal morphology, and decreased number of synapses. Take-home message: While recognizing that confounding variables make it difficult to be certain, it appears that anesthetics (particularly prolonged or repeated courses) can result in neurologic changes. There is enough information available to recommend avoiding truly elective procedures which require anesthetics in young children.